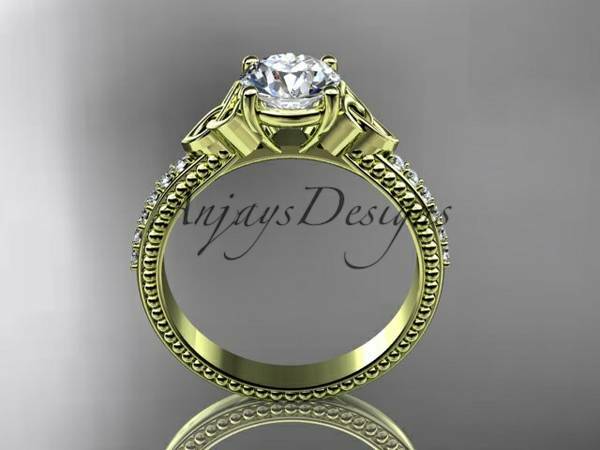 It has 12 VS-SI/G-H color diamonds total weight of 0.12 ct. 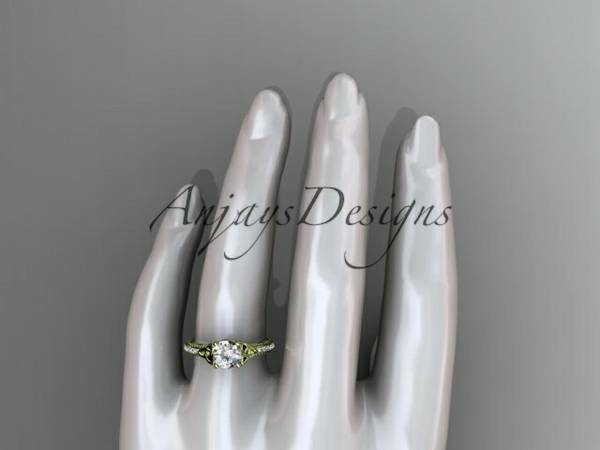 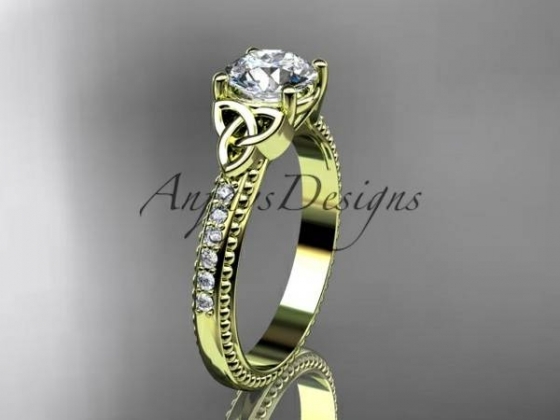 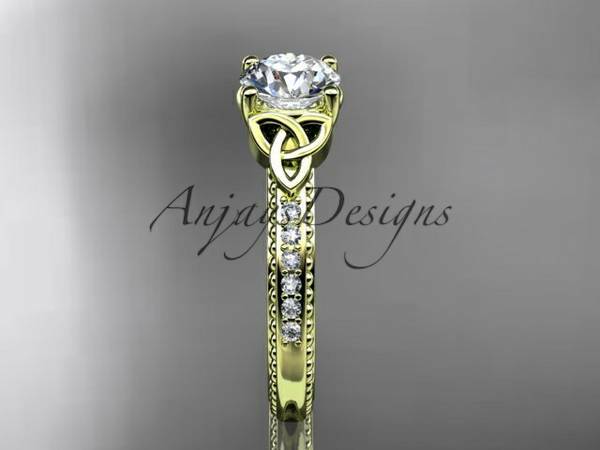 This 14kt yellow gold celtic trinity knot engagement ring comes in a beautiful jewelry box. 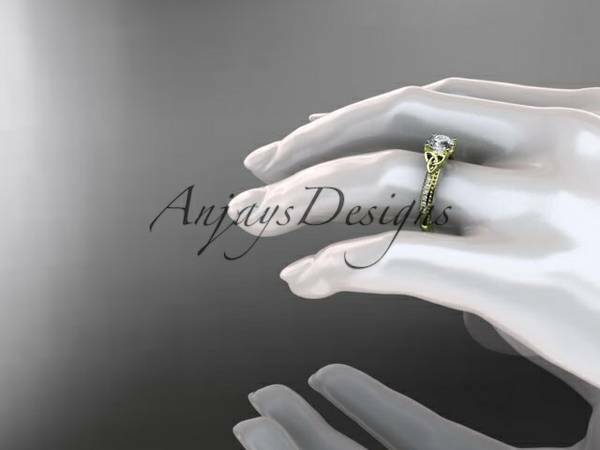 site wide on all our selections.